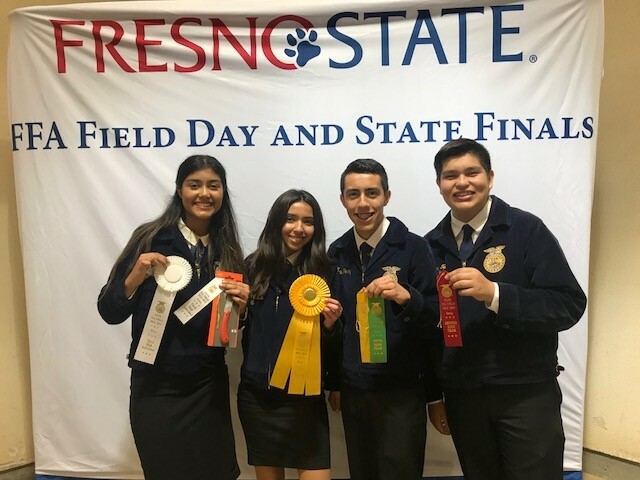 This past weekend eight individuals (two teams) participated in the FFA State Finals Career Development Event The judging contest was "Citrus" judging and it was hosted by Fresno State University. Both teams represented Pioneer Valley very well and placed! One team was Second High Team in the state with Veronica Ramirez being awarded 2nd High Individual. Team members also included Cassandra Ortega, Danny Morales, Belen Zacarias. The other team was Fourth High Team with a Third High Individual - Paola Zarate. Other team members included Miguel Perez, Moises Novoa, Marina Cuevas. We also had the the Sixth High Individual Cassandra Ortega. 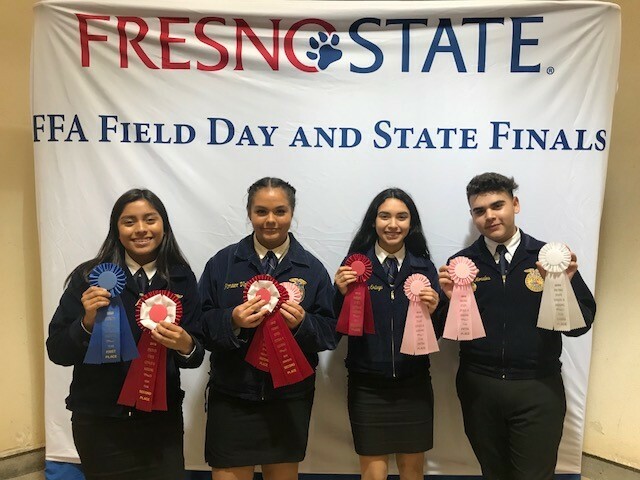 Site principal Mrs. Herrera exclaimed, "Congratulations to our Ag advisors and the students they mentor. Involvement in Ag requires a great deal of time, effort, and travel. Great work Ag department!